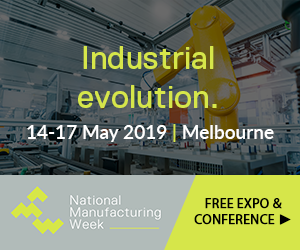 The Australian Manufacturing Forum and www.aumanufacturing.com.au are advised by a group of distinguished Australian innovators, manufacturers and sector experts. Roy Green, Chairman, Port of Newcastle. Roy is a leading educator and academic researcher into innovation and competitiveness. He is the former Dean of Business at UTS, Sydney, and Dean, Macquarie Graduate School of Management. He has undertaken research projects for the federal government, the OECD, European Commission and Enterprise Ireland. Pat is an electrical engineer and joint founder and Managing Director of ANCA, a world leading manufacturer of CNC tool grinders. ANCA has been named Australian Exporter of the Year, while Pat has been awarded ‘engineering hero’ status by the Victorian Government. He Director of AMTIL and was a member of the Future Manufacturing Industry Innovation Council. Gillian Corban, Managing Director, Corban & Blair. Gillian is partner and co-founder of Corban & Blair, a designer and manufacturer of marketing, presentation and gift solutions for business. The company has been a leading innovator over 30 years and manufactures in Australia, China and New Zealand. Gillian has been active in mentoring young women into leadership and director roles in industry, and is a former member of the National Procurement Board. David Chuter, CEO and Managing Director, IMCRC. David is a manufacturing engineer and is CEO and Managing Director at the Innovative Manufacturing CRC (IMCRC). He is an experienced manufacturing executive with a long career in the automotive industry including with Futuris Automative, and as CEO of MHG Asia Pacific. David is a member of Australia’s Industry 4.0 Advanced Manufacturing Forum, and a Director of the CRC Association. David Fox, General Manager, L&A Pressure Welding. David is an engineer and general manager of family-owned L&A Pressure Welding which makes highly specified and engineered vessels and heat exchangers for the petroleum industry. David has led a transformation process involving adoption of new quality and financial systems, diversification into new markets and implementation of new ways of working.